The Union Internationale de Pentathlon Moderne (UIPM) today reveals a bold new visual identity with the release of two dynamic logos. A branding review in late 2017 has resulted in the production of two new emblems representing the growth of UIPM Sports with Modern Pentathlon at the pinnacle. The new visual identity was approved by the UIPM Executive Board at its meeting prior to the 2017 UIPM Congress in Tbilisi (GEO). Important: media representatives please note that the UIPM marketing logo (below) is the graphic that should be used for all external publication and promotion. This marketing logo contains the tagline "World Pentathlon" which is introduced to the UIPM branding portfolio as a means of emphasizing the global reach of UIPM, which governs the core Olympic sport of Modern Pentathlon as well as Laser-Run, World Schools Biathlon, Biathle/Triathle and Tetrathlon. The new institutional logo (below), which is primarily for internal use, aims to communicate the historic pentathlon family values aligned to the dynamic future of UIPM Sports. The logo features two original colours that represent the pentathlon environment: yellow (symbolizing dynamic development) and blue (standing for longevity and power). Gender equality is also reflected with the addition of two female pictograms. 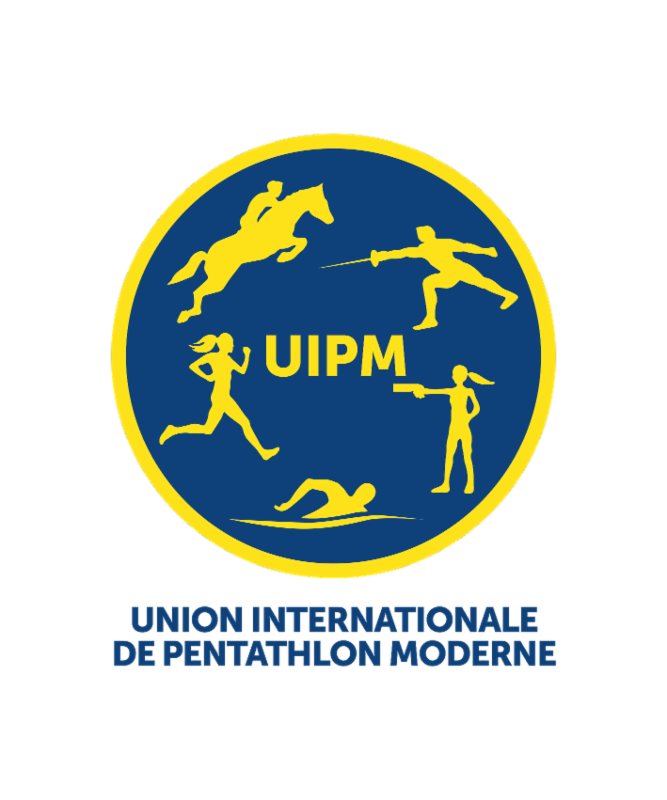 Any requests for use of the new logos must be approved by the UIPM by contacting the Marketing department (marketing@pentathlon.org), or by contacting the Union directly at uipm@pentathlon.org. Brand guidelines are available on request. Dr Klaus Schormann, President of UIPM, said: "I am very happy that these UIPM new logos respect the history of Modern Pentathlon, our flagship sport which was founded by Pierre de Coubertin for the 1912 Stockholm Olympic Games, and also reflect the dynamic present and future of our sporting movement." Martin Dawe, Executive Board Member for Marketing, said: "The purpose of this branding review is to make sure our logos are more up to date. It is not a completely new logo but more of an evolution, and it's about making it more applicable for today's audience. "It was decided that we would have two logos: one institutional logo for official and internal documents and one external marketing logo. The important thing with the marketing logo is that it's usable in all communications: in print, web, social media etc, and also that the usage of it is consistent."